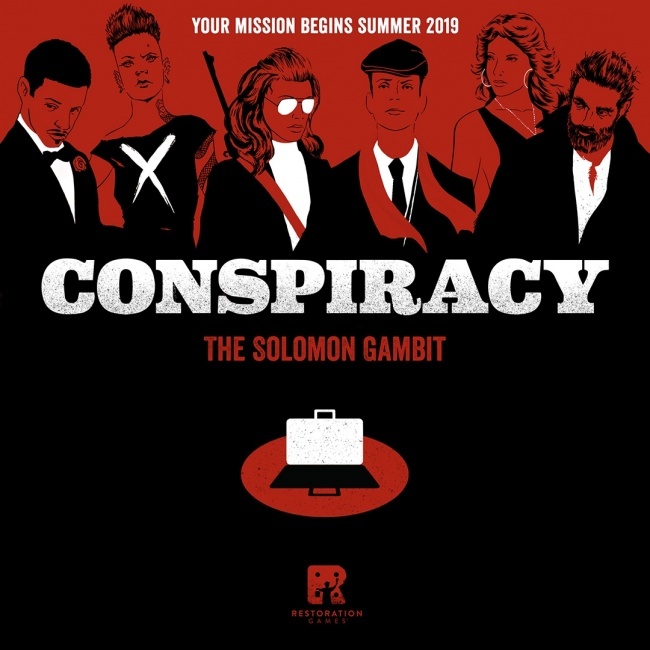 Restoration Games has announced the refresh of another classic and long out-of-print board game: Conspiracy: The Solomon Gambit, based on the 1973 spy game. 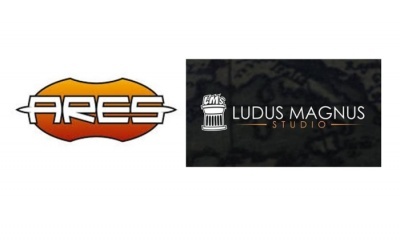 Release is planned for Origins this summer. 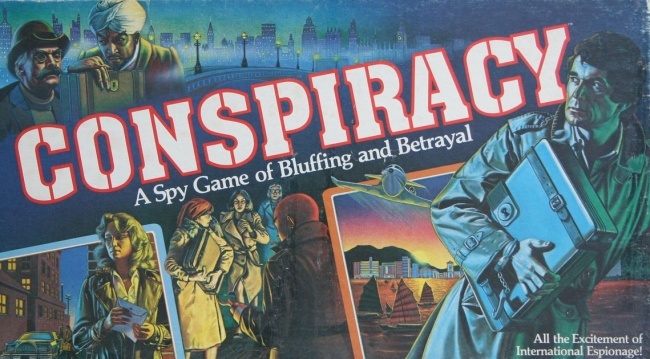 Created by Dr. Eric Solomon, Conspiracy challenged players to maneuver a set of secret agents in an attempt to deliver a briefcase filled with secret files to their own headquarters. 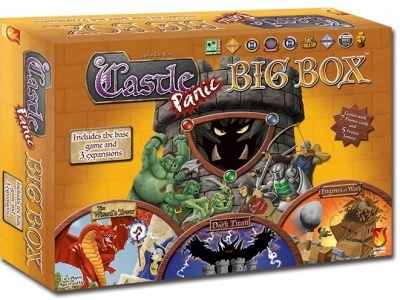 But, the agents were not controlled by specific players, who could move any piece, while a blind bidding system allowed players to bid for temporary control of individual agents. This concept, revolutionary in game design at the time, has since appeared in numerous other games. Now Rob Daviau, J.R. Honeycutt, and Justin Jacobson (the team behind Fireball Island: The Curse of Vul-Kar) are lending their hand to an update of the game that will feature unique special abilities for all of the secret agents and a new end-game condition, with a random game length element: if no player can claim a win fast enough, the mysterious Dr. Solomon appears. Players can pay bribes to the doctor like other agents, and if a die roll signals the end of the game, the player who has paid him the most wins. 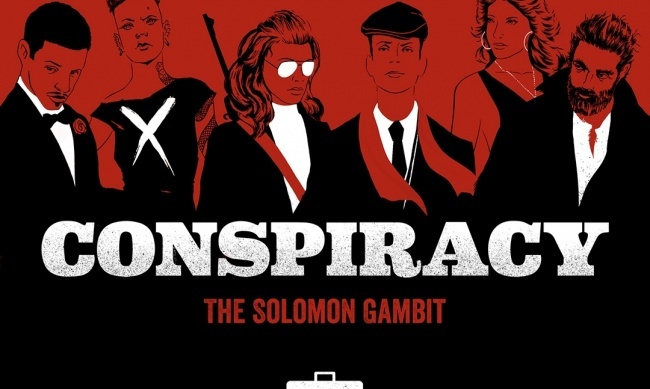 Conspiracy: The Solomon Gambit will feature artwork by Matt Griffin. 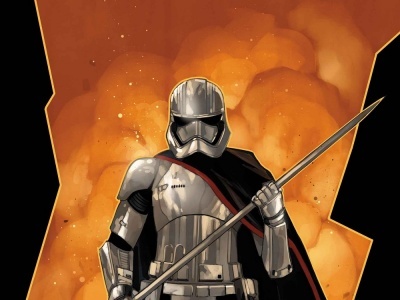 Details including MSRP have not been released. Restoration Games is also working on a “restoration” of the cult classic electronic board game Dark Tower, planned for a 2020 release (see “Childres and Daviau ‘Return to Dark Tower’”).